Losing Special Tiara was a devastating blow for connections. 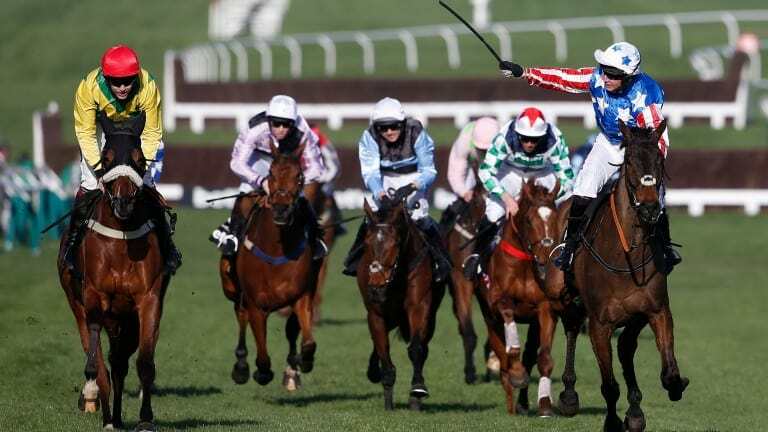 The gallant 12-y-o was a part of the top 2-mile chasing furniture, he ran in 5 Champion Chases winning one of them, lowered the colours of Sprinter Sacre in a Tingle Creek and won back-to-back Desert Orchid Chases. An exhilarating sight in his pomp who had a real zest for his racing... he will be sadly missed. A quieter than usual week for us with just the two bets which was mainly down to losing meetings to the freezing weather. Despite being ominously weak in the pre-race market (he drifted from 7/1 out to 11/1) Gino Trail ran a cracker after almost a year off the track. Ultimately he was no match for the seemingly well-handicapped favourite Dolos. He travelled well and jumped boldly and stayed on well up the home straight to finish second beaten 4-lengths. Although he was a fairly speculative choice and was pulled up before the 2nd last there was evidence that Brio Conti ran better than the bare form suggests. Off for 3 months, the 8-y-0 Dom Alco gelding was settled into a nice rhythm by Bryony Frost. He made a couple of slight mistakes on the first circuit, but a stumble going around the top bend seemed to light him up and he pulled all the way down the back. He made ground to pick up the leaders on the bridle and looked like he could be involved in the finish but found nothing when asked and was quickly pulled up. There is nothing to say that he suffered a problem and he could be interesting next time out depending on where he lines up... that might be in the Pertemps at Cheltenham where he would be any price. We are currently looking at a couple of races at Huntingdon on Thursday and we'll have plenty of action at the weekend with decent racing at Warwick and New bury on Saturday and a good card at Musselburgh on Sunday. Again selections will be out on the morning of racing rather than the night before. Sign up now and get a months full membership for £10. That's a 75% saving on the normal price. Grab it while you can... you won't regret it!